Intuitive TouchScreen Control with 60 Minutes Timer. Digital temperature control up to 400°F, 60-minute timer with auto shut-off. 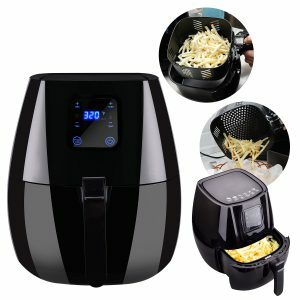 Adjust time and temperature during the frying at anytime. Digital touch screen interface – one touch settings make cooking a breeze. It is fast and powerful with a touchscreen and smart preset buttons for the most popular dishes. 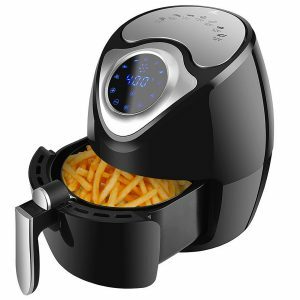 No oil- Hromee air fryer allows you to prepare healthier versions of your family’s favorite foods. No oil smell, no splatter, no mess. Easy-to-clean food Fry basket and basket holder Base, built- in cool-touch housing and handle. Removable parts are dishwasher safe and easy to clean.